Nakamura is an American chess Grandmaster. He began playing chess prior to the age of five and was coached by his stepfather, FIDE Master and chess author Sunil Weeramantry. At age 10 years and 79 days, Nakamura achieved the title of National Master from the USCF, becoming the youngest American ever to earn the title at that time. In 2003, at age 15 years and 79 days, Nakamura solidified his reputation as a chess prodigy, being the youngest American to become a Grandmaster at that time, breaking the record of Bobby Fischer by three months. 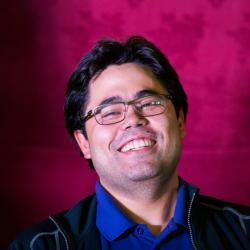 Hikaru Nakamura is widely considered to be the best bullet and blitz chess player in the world. His “cult following” of hundreds of spectators can be found watching his games online, where he holds numerous ratings records. But he’s more than just a rapid chess genius! The U.S #1 ranked player and 3-time US champion currently holds the 16th spot on FIDE’s ranking list (2746 - December 2018), with a peak FIDE Rating of 2816 (1st October 2015). Hikaru’s highly tactical, uncompromising chess style makes him one of the most dangerous players in the world, a future World Championship Candidate, and unarguably one of the most exciting players to watch!